The US government created The Veterans Administration Home Loan Guaranty Program in order to assist veterans in purchasing a home. A VA Home Loan can save you thousands of dollars over other mortgage programs. The VA Loan offers many benefits such as no down payment or PMI (private mortgage insurance) requirements. Additionally, since VA loans are guaranteed by the US government they are much easier to qualify for. 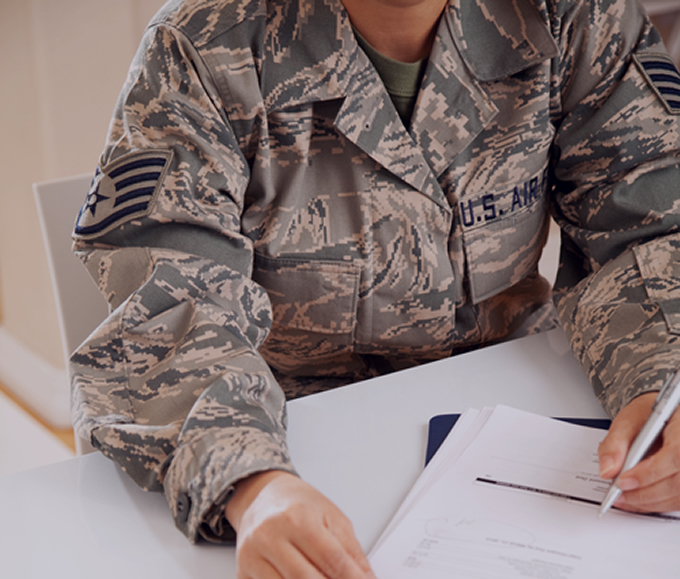 Certificate of Eligibility – The borrower must provide a certificate of eligibility from the Veterans Administration confirming they have served at least 90 days in the US military. If the borrower has a dishonorable discharge, unfortunately, they will not be able to apply for a VA loan. After requesting the certificate from the Veterans Administration, it may take up to 10 business days to process. Once this certificate is confirmed you are ready to begin the pre-approval process. Income and Debt – VA loans offer higher debt to income ratios than other loans. Typically, lenders max DTI ratio for VA 41%. Credit History – While the VA does not have a minimum credit score requirement, VA lenders can set their own guidelines. Mortgage Limits – The maximum VA loan amount is $424,100. Similar to conventional loan limits, VA Loans are based on local home values and can vary depending on the area. VA Funding Fee — There is a special one-time VA funding fee borrowers to guarantee the loan. This fee is typically financed in the loan. This fee can vary per Veteran depending upon their previous use of entitlement if service was in the reserves or National Guard or if receiving VA benefits.